Halloween is the time of year when everybody embraces the horror genre. 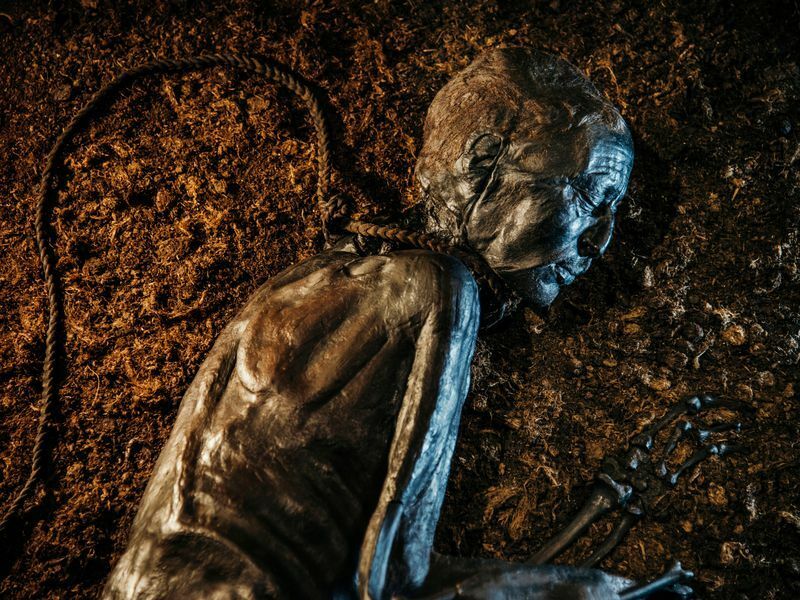 Tales of axe murderers, malevolent spirits from beyond the grave, and houses with a mind of their own become mainstream, packing theaters full of patrons and scaring the wits out of people sitting around campfires. One of the reasons society is so quick to embrace a good scary story is because we all believe, deep down, the threat isn't real. There is no psychotic murderer with a hook for a hand killing teenagers at make out point, after all. Sometimes, however, the stories we hear are a little too real. Half the fun of a horror story is that it keeps the bad things at a distance, but when you tell a story that actually happened it can give you chills in a totally different way. What happens when the stories we tell to scare each other turn out to be true? 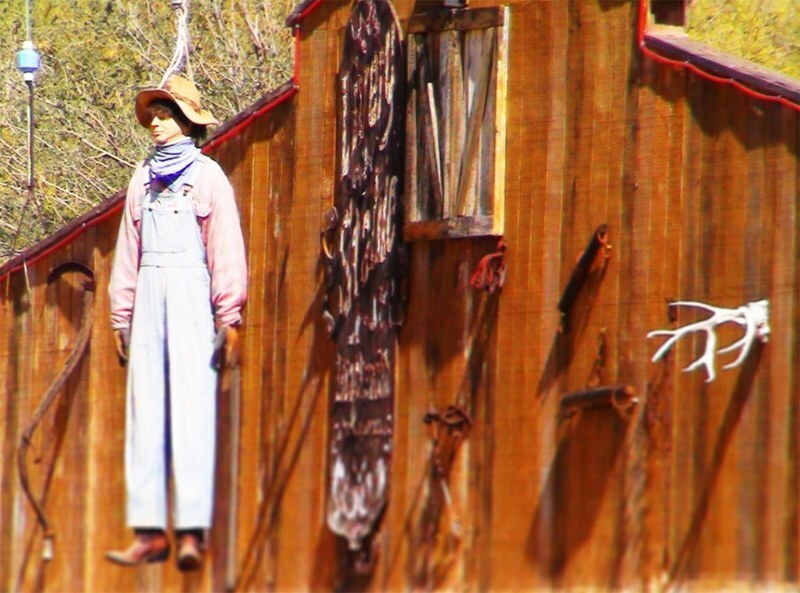 One of the staples of haunted houses, hayrides, and forests across the country is the "hanged man" attraction. Among the scare actors playing zombies and vampires there is often someone whose job it is to pretend to hang themselves as part of the show. They jump to their doom, dangle among the fake plastic bats and spider webs, and then climb back up and do it again when the next group of customers come through. Campfire stories have been told for years about the actors who play the hanged man actually dying during a performance without any of the customers noticing. Gasping for breath, unable to call for help, these poor people slowly suffocate and die in front of dozens of people who don't even know they need help. Pretty great made-up story, right? Except in real life this happens all the time. There are at least a handful of reports of accidental deaths, usually involving young teenage boys, over the last 25 years. The desire to play a really excellent prank or truly scare the daylights out of someone can sometimes lead to people making dangerous choices, but it isn't limited to just Halloween. Michael J. Fox nearly became a victim of an accidental hanging on the set of Back to the Future III. In his memoir he describes an attempt to get a realistic shot turning a bit too realistic, leaving him passed out and dying in front of the cast and crew. Luckily someone there noticed what was happening and cut him down, otherwise his death would be another tragic addition to the list of accidental hangings. Let's face it, clowns are creepy. A clown's intentions may be good, but Stephen King used a killer clown as the villain in his novel IT for a reason. Because of their scary nature there have been multiple clown-related urban legends, from the stories of Homey the Clown in Chicago to the legend of the life-sized clown puppet. To be fair to professional clowns everywhere, this fear seems to stem from one horrifying person - John Wayne Gacy. It is just a modern clown's bad luck that a professional clown in the 1970's turned out to be one of America's most prolific serial killers, murdering 33 people and using his clown persona as part of his murder spree. These horrible atrocities have given thousands upon thousands of people an intense fear of clowns. This fear is what makes them such a good antagonist in horror stories. There are dozens of clown-based horror movies that have been made over the years. 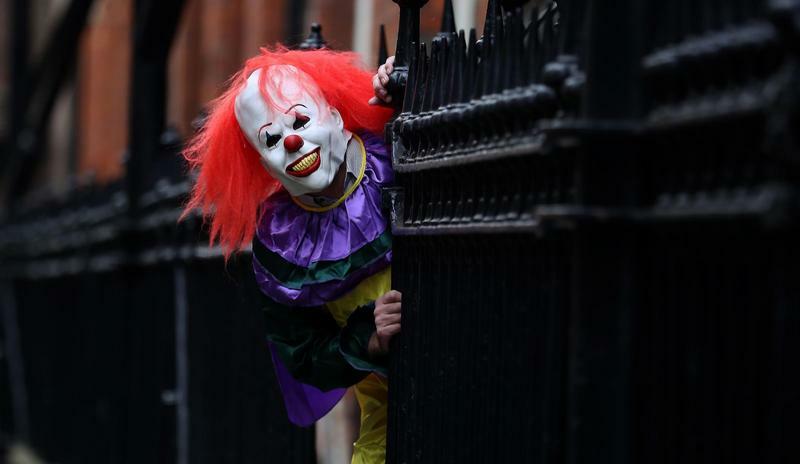 Stories of clowns lurking in the woods, trying to lure children away with candy and money, and terrorizing small towns have made excellent horror story fodder for years. But, after Gacy, there hadn't really been any legitimate reports of clowns behaving badly in decades. Just good story material, right? Then, in 2016, all these stories came to life for people all across the United States. 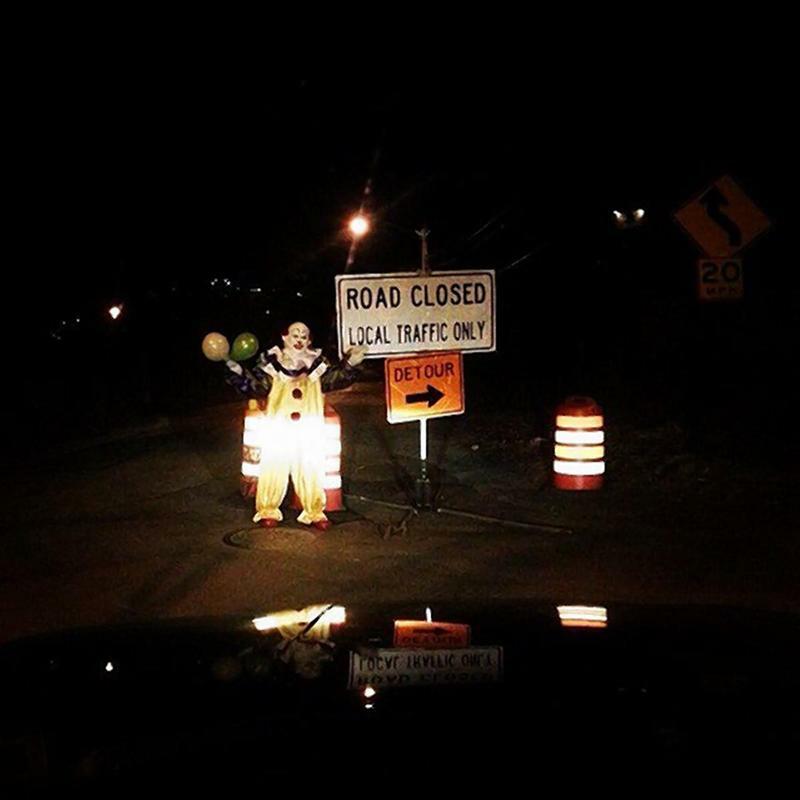 People in clown costumes wreaked havoc, threatening citizens, attempting kidnappings, and even murdering one person in Pennsylvania. While the crazy clowns were not connected with one another in any way, something caused people across multiple states to disguise themselves as clowns and terrorize their communities, bringing the fictional horror stories to life for communities across the nation. This is a story that has been told by almost every group of 14-year-olds at a slumber party. 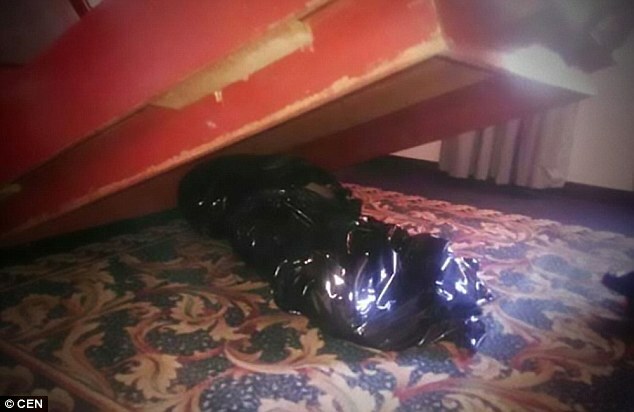 We've all heard some variation of it - people checked into a hotel and complained to the front desk about the smell, only to discover that a dead body had been hidden in the box spring and left there to rot. Sometimes the story involves seedy individuals in a Las Vegas hotel. Sometimes it is tourists staying at a little motel along the highway. The ending, however, is always the same, meant to leave you afraid of dangerous and disgusting things lurking in normal, everyday places. But this is just a scary story to tell in the dark, right? Unfortunately, this tale is a variation of a story that has actually happened at least ten times in the last 30-odd years. 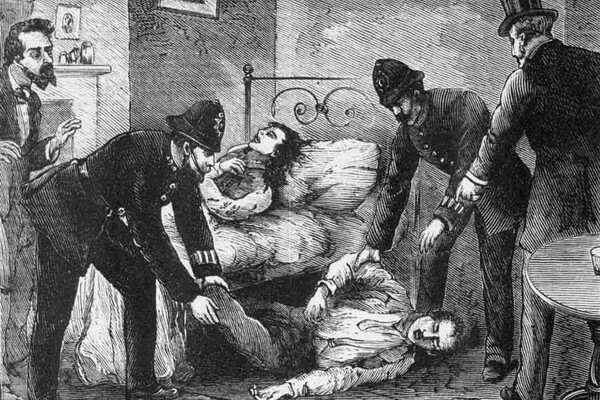 Sometimes the person left in the bed was murdered, sometimes it was an accidental death that a traveling companion tried to cover up. But either way there are almost a dozen hotels across the country that have housed rotting corpses inside of the bed and unknowingly rented those rooms out to their customers. Clearly, we should all be checking the mattress for more than just bedbugs when we travel. While urban legends are almost always told as a true story that happened to a friend of your cousin's neighbor, most of them are pure fiction. What are your favorite urban legends to tell at Halloween?